Hadlow Down is a small village and civil parish sitting on a ridge between Buxted and Heathfield on the A272 road in the Wealden District of East Sussex, South East England. It covers an area of 6.6 square miles (17.0 km²) and has a population estimated for 2011 as 857. The OS grid reference is TQ533240, London is 37 miles (60 km) NNW, the post town is Uckfield, the postcode district is TN22 and the dialling code is 01825. The European Parliamentary area is South East England and the UK Parliamentary area is Wealden. Hadlow Down is on a hill so has lovely views to the north and south. There is one other view that is good, this is at the Annual traction engine event held in the village in early June, with the steam engines taking pride of place in the village. 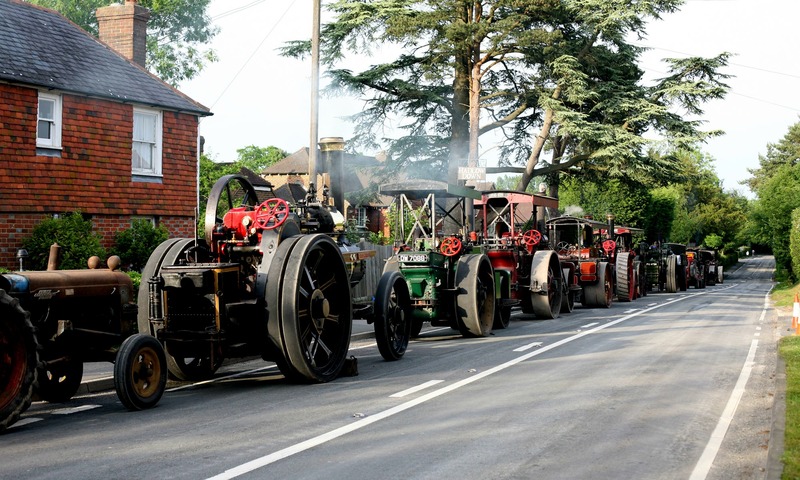 Hadlow Down is well known for its association with steam engines similar to those being used in the local rural farming industries many years ago. Claude Jessett bought his first steam engine ‘The Tinker’ in 1942 and he used it on his farm at Tinkers Park. By the 1950s Claude and his wife Joyce had become interested in the embryonic steam rally scene and, by the early 60’s, their collection of steam engines had grown and they were branching out into collecting fairground organs, farming equipment and narrow gauge railways. The first annual Tinkers Park steam engine rallies was held in 1966 in aid of Cancer Research and is still running today. Until the burgeoning of the Wealden Iron Industry in the 16th century Hadlow Down was a rural farming community with the small population living either side of the main road that runs through it, it was relatively quiet and secluded. The Wealden cannon making industry started at a furnace on the stream at Hoggets Farm situated to the north of the centre of the village. It was here in 1543 that the first cannon in East Sussex was cast by Iron Master Rolf Hogget (Hugget) and is commemorated in a small rhyme. Master Hugget and his man John, They did cast the first cannon. The ‘John’ referred to is believed to be a French cannon maker by the name of Baude whose family is buried at Wartling on the Pevensey Marshes. It is probable that much of the charcoal needed to fire the furnace would have come from charcoal burners living in the area to the south of Hugget’s farm and as far as Blackboys. 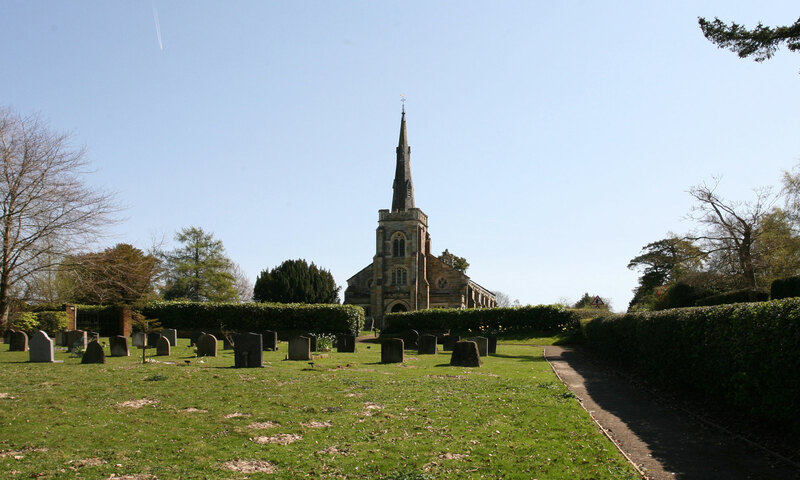 The majority of the population of Hadlow Down now commute to a place of work outside the boundaries of the parish but it still has a strong community atmosphere centred around the New Inn pub, St. Mark’s school and St. Mark’s Church. 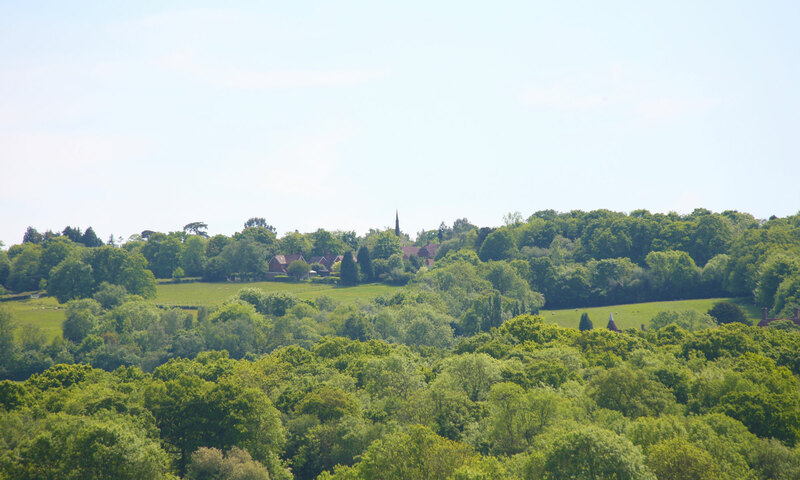 The High Weald is one of the finest landscapes in the country, Hadlow Down is typical of the many Ridge Top Villages in the area.